Ships Monday, April 22 if ordered in the next 2 days, 9 hours and 48 minutes! Syncra Advanced Pump 9 2500 GPH (Pre-Order Now!). SICCE presents new Syncra pumps to complete our existing range. Half the size and power consumption of the Syncra line. Quiet Operation: polished, ceramic shaft and bearings with unmatched precision. Syncra ADV represents the next generation of the Syncra range. 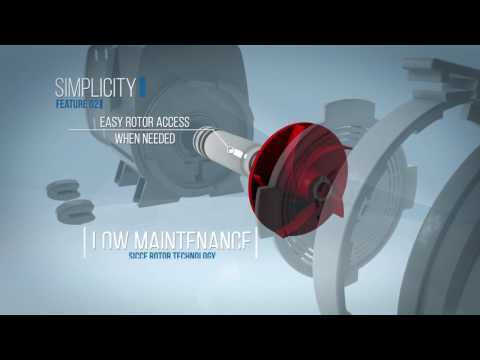 With multiple uses and improved power consumption and technical details, Syncra ADVreconﬁrms SICCE as the market leader for synchronous motor pumps. and perfomance. Regular maintenance will guarantee a longer lifetime and the performance customers love about the Syncra line. These pumps are half the size and power consumption of the Syncra line. VERSATILITY: can be run internally or externally; 360° rotation prechamber for horizontal or vertical positioning. HEAT REDUCTION: optimized hydraulic system supported by high quality components and a calibrated forced internal recirculation which guarantees minimum heat transfer.